Unifying conversations isn't the only reason to give Disa a go. I’m keeping my eyes peeled for big movement from Disa. Unencumbered by debt and supported by a healthy community of contributing developers, this app is in the best position to capture the needs of end users. If you currently use multiple applications to talk to the same person, say for example you text, IM and Facebook chat your girlfriend, life is about to get so much easier for you. 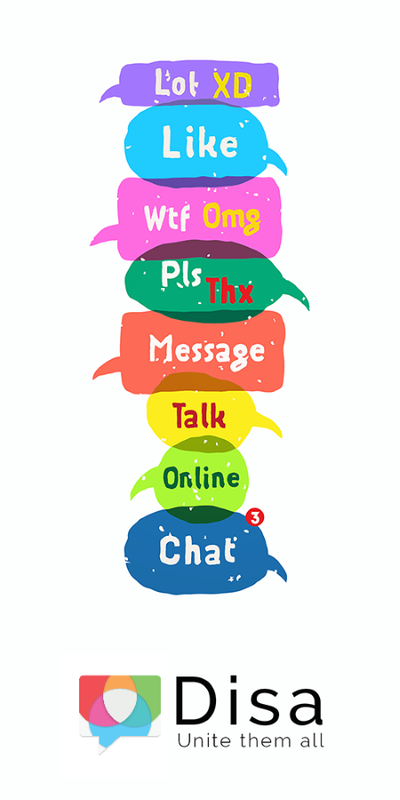 Messaging's mission impossible: One inbox to rule them all. There's no shortage of settings and options to keep your messages organized the way you want them. 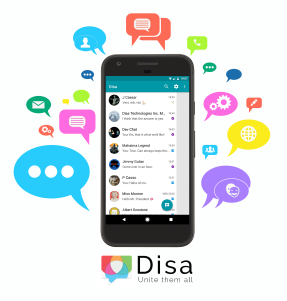 Disa Technologies, Inc., founded in 2016, offers a unified messaging app that integrates multiple messaging services (Telegram, Facebook, SMS/MMS, etc.) into one hub. You can organize conversations, shared files, photo galleries, and group conversations in one place as well as personalize the display and appearance of their interface. A unique feature of Disa is the ability to view conversations from different apps through individual streams or as one unified feed by contact, and reply to them. Disa has been awarded a patent that covers the framework and the power management technology. We plan to apply for a patent on a universal email plugin technology for a new release with the next round of funding. We have a creative team of developers and innovators and a growing community of over 500,000 monthly active beta testers. We’ve developed an app that is not only stable, diversified and useful which also has the framework to expand beyond just message organization. Through its dynamic plugin system, the future of Disa’s framework will provide many other options such as banking transactions, purchase/delivery communications, and email services. The versatility, power management technology, and future abilities of Disa’s framework are truly ground breaking. Disa’s goal is simple: be the most all-inclusive app in the marketplace by providing one location where users can streamline and organize their life. 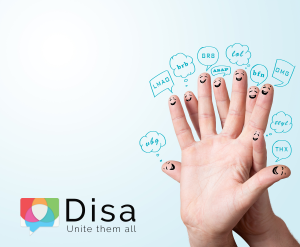 Disa is here to “Unite Them All”. The following guidelines describe the publishing standards applicable to any print media publisher, digital media publisher, content producer or other media creator who intends to create a publication relating to Disa Technologies, Inc. and its products. The images in the Press Media Kit must remain as they were originally created by Disa. The image colors, orientations and/or wording may not be altered in any way. If you wish to capture your own screenshots of Disa Unified Messenger please only select a neutral background color for the conversation view. Additionally please only select black or white as the font color and select a bubble background color which keeps the bubble fonts legible. Francois graduated from The Pennsylvania State University with a BS in General Science. During his time at Penn State, he co-founded a small finance company which eventually led to a partnership in a larger venture in New York City. After the business was sold in 2010, Francois’ passion for entrepreneurship and innovation drove his search for new and exciting endeavors. Through his studies in science and an understanding of intellectual property, he was able to develop his curiosity into a deeper understanding of Android based operating processes. 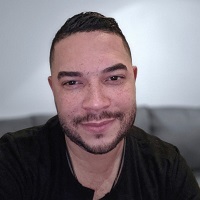 Together with Jake Louw, his ideas came to fruition as they pioneered one of the most ground-breaking and advanced frameworks in the messaging industry. To date, they have designed two patented technologies. Disa is now on the forefront of an emerging message unification market. 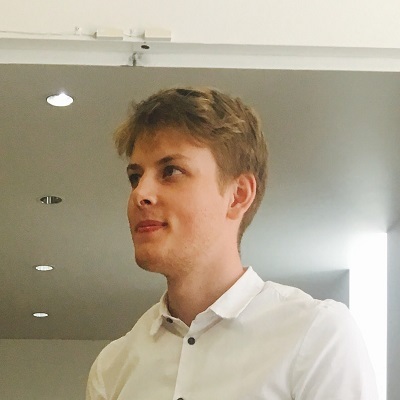 Jake is a young entrepreneur with a deep understanding of code development and framework strategy. At the age of 21, he has built a reputation amongst Disa users as one of the industry’s most talented developers. Jake has engineered new ideas that were developed together with Francois Lebon-Schneider into a ground breaking framework which has brought them to patented status on two of their innovations. Jake's interests in engineering, entrepreneurship, and social development will continue to bring success in the industry through Disa and its future plans beyond messaging. Jake will continue to ensure the quality of ingenuity and innovation the co-founders have established as a trademark of their work. 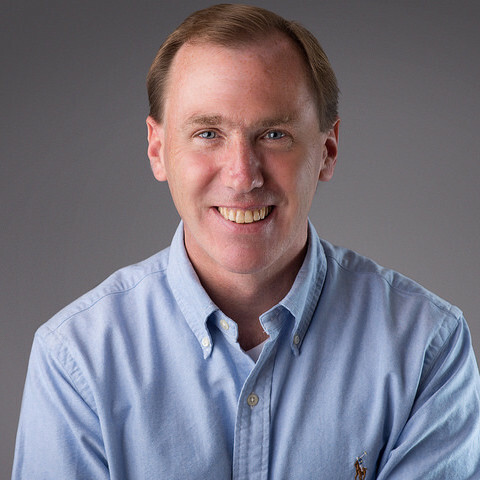 Michael heads the business development of Disa Technologies, helping the company to grow and scale. He manages external relationships with partners and investors, oversees the growth plan, team development, and business planning. 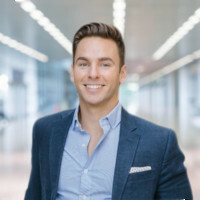 With ten years of experience from the management consulting industry, he was responsible for client relationships with high-tech sales and marketing executives. Michael is a recent graduate of The Wharton Business School MBA program where his focus was on entrepreneurial management and marketing. Bill is a seasoned mobile developer/manager with over 20 years’ experience delivering successful mobile apps and server side services. His skill set has allowed him to work effectively in big companies, across teams - to start-ups with their own culture. Most recently, he was part of the GroupMe development team for 4 years. 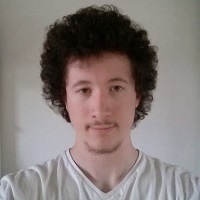 Currently his focus is on UI with an expanding managerial role as the development team grows. Bill has a BSEE from Union College. 1. The logo must remain as it was originally made by Disa. The logo design, it's colors, image rotation, and wording may not be altered in a any way without violated the terms of logo use. 2. Disa reserves the right to request the removal of it's logo(s) from any publishing digital, web, or print in accordance to our discretion. 3. Disa's logo(s) may not be used on or in any application, publishing, or any sort of product that solicits, promotes, or advertises for any product other than Disa without the explicit permission from Disa management in handwriting. 4. Do not add anything to the logos. No animation, art, words...etc. unless explicitly given permission or instructed to do so by Disa. We may from time to time allow for festive additions to the design for holiday seasons, however this exception must be explicitly approved of by Disa. 6. The official Disa logo font is "Raleway".